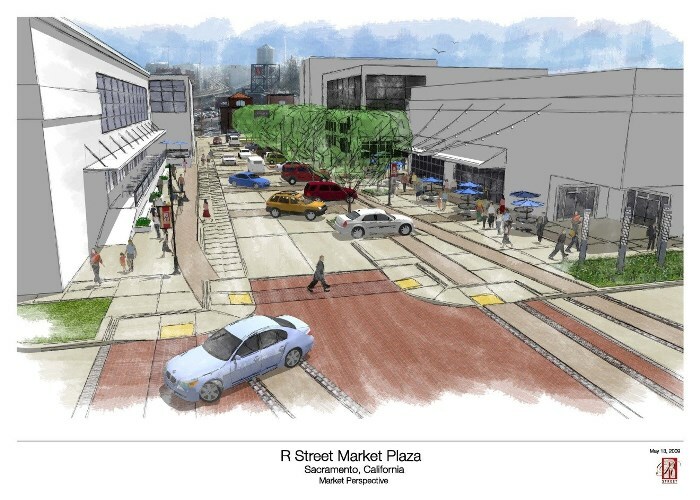 The R Street Market Plaza Project, between 16th and 18th Street will transform the corridor into a safe, pedestrian-friendly and multi-use public right-of-way. The project will begin construction on Oct. 25, 2014 and the proposed improvement will include pavement, one travel lane in each direction, sidewalks, curb ramps, planting trees, street lighting and updates to the storm drainage system. The project is expected to finish construction in June 2015. The proposed project will provide critical pedestrian safety and accessibility improvements to the R Street Corridor located in the City of Sacramento’s Central City Community while maintaining the street’s historic sense of shared space between pedestrians, bicyclists and vehicles. The total project cost including the Environmental Document is $4,832,000. Funding is provided by federal and local matching funds. Find more information at the City of Sacramento.